Being a woman can be very high maintenance sometimes. People expect you to have perfect hair, sculpted eyebrows, the “right” kind of makeup, and silky smooth skin. Keeping up with all these expectations can be challenging, but there’s help out there in the form of Beauty Box, which provides a wide variety of beauty services under the same roof. Kaya Singh opened Beauty Box on Jan. 2 in the shopping center on the corner of Chorro and Foothill. Despite being just a few weeks old and having only three employees, the business is already gaining success, largely thanks to being located near a Starbucks and a Jamba Juice. BEAUTY STOP: The Beauty Box on Chorro Street opened in January to help you stay beautiful in all the right places. 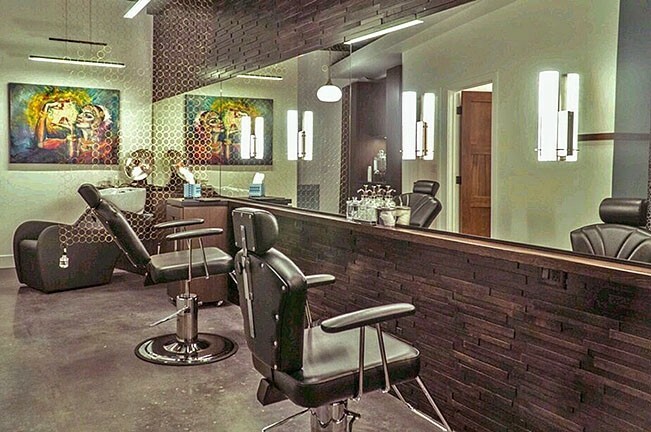 Beauty Box offers everything from waxing, to eyebrow threading, to hair straightening treatments, and they’re planning on adding eyelash extensions in the near future. According to Singh, it’s rare for all of these services to be offered in the same place. That, plus the fact that it’s located near Cal Poly’s campus, is what makes Beauty Box so convenient and unique. Not only does Beauty Box have great variety, but it has some great deals as well. Special discounts and packages are available, including 20 percent off for students. However, the best beauty-centric treats are yet to come. On Feb. 11, Beauty Box will be hosting a late grand opening/early Valentine’s Day celebration, with Valentine-themed food and cocktails. During the event, multiple prizes and “booty boxes” will be given away, mostly including beauty products and discounts on Beauty Box services. It’s taken Singh a lot of time and a lot of hard work to get to this point. She said she started off as a threader but was never content providing only one service, so in 2015 she started taking cosmetology classes in LA. She said it wasn’t easy balancing getting her cosmetology license while raising two kids, but in 2016 Singh graduated and came to SLO to start her business. Once in the city, though, she faced even more obstacles, this time in the form of contractors and permits. You can find Beauty Box at 17 Chorro St. in SLO, or check out its website at beautyboxslo.com to see all the services offered and make an appointment. Jack’s Helping Hand, a local nonprofit committed to helping the families of children with cancer and special needs, recently received a $100,000 donation from Sammy and Michael Pineau to be used where it’s most needed and $50,000 from the Robert H. Janssen Foundation to help with the construction of the Jack Ready Imagination Park on the Nipomo Mesa. Tickets are on sale for the eat-in or take-out chicken barbecue that raises money for the Martin Luther King Jr. Memorial High School Scholarship Fund. Chicken will be served from noon to 3 p.m. on Feb. 5 at the Elks Lodge in San Luis Obispo. The $10 tickets get you the poultry, baked beans, potato salad, and garlic bread. Get advance tickets by calling 595-2526. Tickets are also available at the door. For more info, visit mlkfund.org. New Times Intern Katrina Borges wrote this week’s Strokes & Plugs. Send tips to strokes@newtimesslo.com.